Hello friends! Bear with me on today’s rambling post, would you? I promise I do (kind of) have a point in here somewhere. I’m a big list maker and organizer. Especially when it comes to my wardrobe, and sewing and knitting projects. I start off with a big list each season with sections like “sew”, “knit”, “buy” with ideas, pattern names, types of fabric I might like, things I’ve seen that are inspiring me, things I want to buy, color palettes… this goes on for a week or two until the list is massive, I’m totally overwhelmed at the possibility of fitting all that into one season, and I never look at it again. Like I’ve organized myself into a stupor! This autumn was no exception. Two weeks ago, I started a list that grew and grew. The problem is even worse this year, though: over the summer I did a big wardrobe clean out, during which I discovered nearly all of my winter skirts are too big. At the time I thought, “I’ll have to do something about that in the future” and then promptly forgot until now. It’s the future, I have almost no wool clothing, and I’m now on the cusp of either being cold this winter or wearing the same few things until I’m completely nauseated by them. A couple of things I’ve said recently in person or online have opened my eyes to this. I said to Mel last week I rarely focus on colder weather sewing, I think in part because I find summer sewing so much fun. It was said not in an “I should fix that” way but more like a “that’s just the way it is” way. On Emily’s blog, she was recently talking about “sewing or freezing” and winter wear, and I chimed in about usually being well prepared for winter because it gets cold as hell where I live, plus I’ve been wearing vintage styles long enough that I have a lot of bases covered. Okay, very true in some respects, but when I made my comment, I’d completely forgotten about the closet clean out that’s left me with the option to basically wear cotton skirts with lots of layers or the same few pair of cigarette pants all winter. Whoooops. And so I’ve hatched a plan that’s slightly outlandish. For a year, I’m going to focus the majority of my wardrobe building on cool-to-cold weather projects. Things for winter, fall, and spring. Not summer. When I think about it, I spend most of my wardrobe planning for the shortest season. Sun dresses, shorts, sleeveless tops, thin fabrics. Especially sewing. That just seems kind of preposterous, honestly. I mean, I live in Chicago. I’m don’t live somewhere beachy and warm 300 days of the year, nor do our vacations typically take us any place warm out of season, either. And I bet I’m not the only one who finds they’ve focused a disproportionate amount of time on their warm weather wardrobe! That’s a lot easier for people who live where winter is cool and dreary or just occasionally really cold, and warm months stretch out a lot longer, but ladies in Montreal, Scandinavia, Boston, Toronto, Chicago, Berlin… I know you feel my pain. I do layer a lot, and like a transitional wardrobe where many pieces can get integrated into other seasons. But if I’m honest with myself (and you), I think I’ve lately used the term “transitional wardrobe” as an excuse to mostly mean “I really like summer clothes and I want to wear them throughout the year as much as I can.” I mean I love to wear some summer dresses with a cardigan and tights in the spring or fall, and because I typically hate the feeling of long sleeved shirts under sweaters, I layer long underwear under short sleeves and sleeveless shirts with a cardigan even in winter. But it also means I focus way more of my energy sewing and buying warm weather clothes. I think I’ve sewn two wool skirts in the last handful of years, only one of which I can still wear (the other was purged). And with the rest of the cold weather items that no longer fit or I long ago fell out of love with, that leaves a problem. 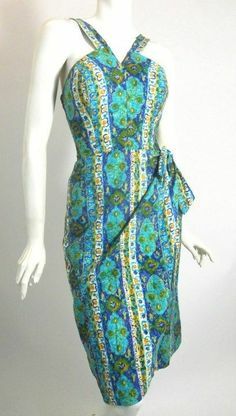 And on the other side of the coin is the fact that summery clothes are the easiest for me to find vintage or retro. There’s no shortage of things I could purchase or sew to make my closet sing a happy summer tune! Summer, I can get you covered easily! Winter… you’re another story. But I’m coming for you. So that’s the background of my story. For about a year, I plan to focus almost entirely on building a cool and cold weather wardrobe that I love. Clothes for the other 8 months of the year! So expect to see some inspiration posts and ideas, as I start to think this project through. Silhouettes, mix-and-match ideas, all that good stuff that I want to focus on. And by all means, feel free to join in! If this post speaks to you, jump on in, too. The more the merrier, so feel free to borrow the hashtag too! 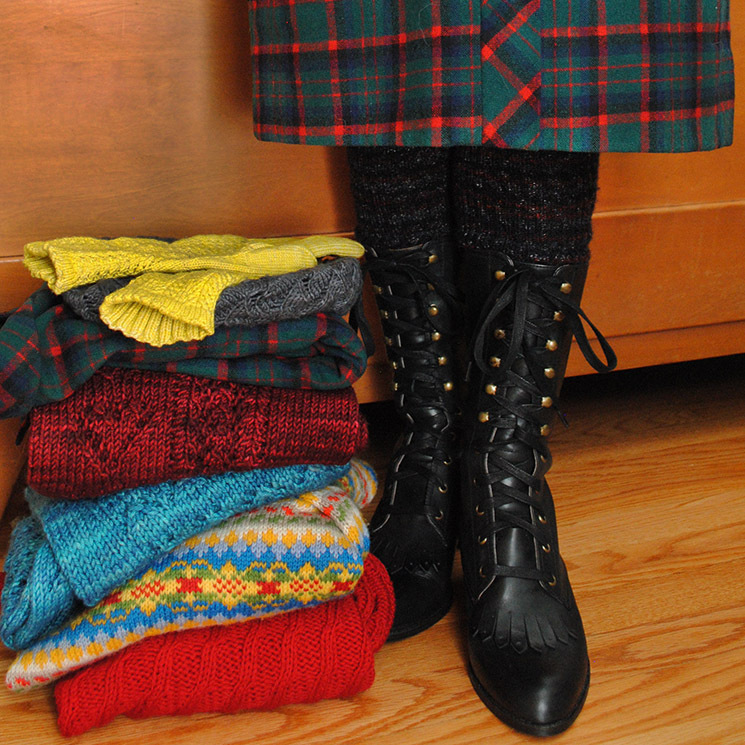 Or um, point me in the direction of great fabrics to sew with for winter (cheerful wool plaids, where are youuuu). Wools, flannels, corduroy, especially if it can be sourced online and is good quality—if you have a tip, speak up! And I can say this: I’m already feeling less stressed out about cooler weather sewing projects in particular, knowing that I’m not sitting here like “OMG it all must be done in the next few months I need to start yesterday and I’ll never finish it all!! !” I can really take my time thinking about style and wardrobe planning, coming up with ideas for projects, and planning and executing all of that. And maybe by this time next year, I’ll feel a lot more prepared for the cooler months to come. I’m in the South too, and I sometimes question why I love knitting sweaters so much, when it’s “summer” here for 8 months. 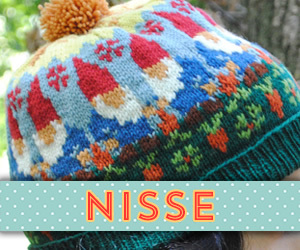 But then things get cold and I’m so glad I made all those sweaters! I’m excited to see what you develop for your own wardrobe because you inspire me! Last week I found a lovely vintage dress made from some warm jacquard which I just know I am going to wear to death this winter. 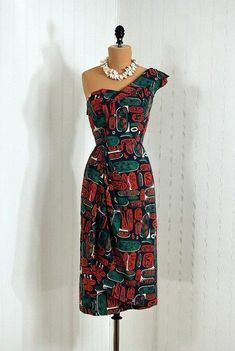 It’s a shirt dress so very comfortable and I would dearly love to make some similar ones. Last year I lived in a tartan circle skirt, which I found in a second hand shop and because it needed shortening, I used the off cut material as a collar for a plain jacket and had an instant suit. It was such a useful find, I want to make some more or those as well. 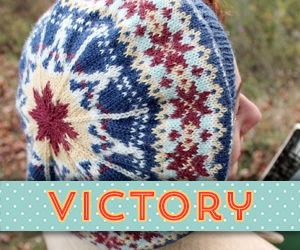 If I had patience I would knit more too! Good luck and I look forward to seeing your outfits. What a great idea about the circle skirt, I’ll have to remember that in the future as I’m short so most skirts I purchase are far too long! I’d love to sew a few circle skirts but I’m always put off by how annoying they are to lay out on fabric vs. projects that take narrower pieces… terrible excuse, I know! 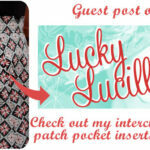 This is a fab post! 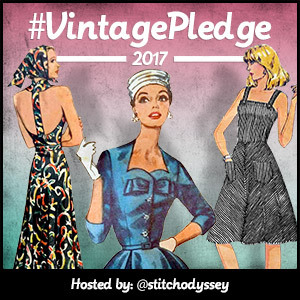 So many of us vintage girls shudder at the thought of making vintage work for us during the winter months, me included, so it’s always good to plan ahead. I’m guilty of reacting just as the weather starts to turn and making a list of things I want to make and then not getting it all done in time. This year I’ve got a number of things planned for autumn/winter that I want to make but I’m not going to get mad at myself if I don’t get them all done to wear this year, I will just carry on making them as the weather warms up so I can wear them next winter. At least I’ll have something to look forward to then and not have a mad panic as always. Sounds like a good plan! That’s basically what I intend to do, too. Just keep on my list and not stress out if I don’t get it all done. My autumn is probably going to be really full (a big trip and some house projects), so I suspect it’s going to be December and I’ll be feeling like I’ve gotten hardly anything accomplished. This way I can take my time and really think things through… and also making sure I make good long-term style choices in the process! That’s a great idea. And yes I know what you mean – the few refashions/makes I’ve done all seem to be summer appropriate (apart from the scarves and mittens I’ve knitted). Good luck with your challenge – looking forward to seeing what you come up with! Thanks Helen! The skirt is part of a Bobbie Brooks suit I got over Labor Day weekend, a very lucky find!! Especially in light of my comments about not having hardly any wool skirts that fit– this one is great! i can really recommend the fall essentials sewalong which sarah from rhinestones and telephones runs. having categories really seems to work for me, and a 2 month timeframe is enough to get plenty done while still having to be realistic! It doesn’t hit polar vortex levels of chilliness here in London (I was in Chicago in Dec ’13 and it was the coldest I have ever been in my entire life), but I can totally get on board with this! Liberty needlecord is a gorgeous winter fabric option, although oddly doesn’t seem to be sold by Liberty itself… I’m hoping to make a quilted gilet out of some! 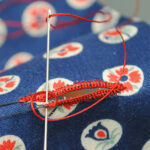 Oh yes, I’ve seen a couple of people sew with the Liberty cord, looks great! I think it might be much more difficult to get here in the US but I’ll definitely need to keep my eyes out. 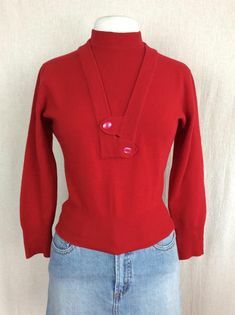 I don’t typically go for corduroy tops but I bet it would make a lovely button down shirt! It is SO much easier–and more fun–to sew for spring and summer, and my handmade wardrobe certainly tends towards those seasons. 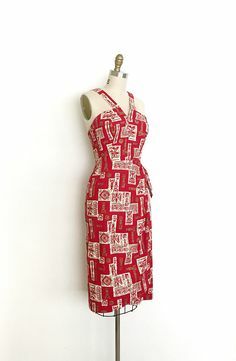 For me, it is at least in part because it’s nice to sew for summer during the late winter/spring, looking ahead to wearing flippy sundresses, but the last thing you want to do in August is sew hot, itchy wool, and forget about trying it on for size! 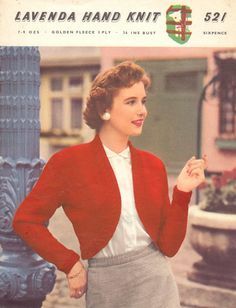 In reference to fun, and suitable sewing projects for fall and winter, I have found wonderful retro , 40s, and 50s sewing patterns for coats, jackets, and blazers. I have found that I love sewing coats; they are very satisfying projects, and the silhouettes of the 40s and 50s still can’t be beat. that’s what I recommend a foray into. I have several vintage blazer and coat patterns and sewed a vintage 40s jacket pattern a few years ago, with the pattern and fabric all set to go for a 50s swing coat that I never got to last year. Hopefully this year I will, I’m excited about that project! Love the boots, tights, and tartan! I assume you made the skirt, but can you please tell me who manufactured the tights and boots? Corduroy and wool skirts FTW. I need to get over my fear of sewing 3-D objects and just find a good simple a-line skirt pattern. And thank you for the reminder… when I did the closet purge I set aside a small stack of “I’m not sure” items, including a gray corduroy skirt I never really loved. But since I don’t have as many options, I think it’s getting pulled from the stack and going back into the closet! Such a great idea! 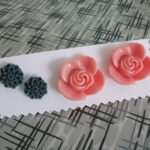 Although I love autumn/winter fabrics, I prefer sewing for the summer season. I live in Holland which doesn’t get really cold, but it does rain a fair bit. I bike to and from public transport, so warmer clothing for the colder months is a must. I did a big clear out of clothes over the summer as well and need to focus on adding some items for the colder months ahead. I’m starting on some knit dresses, but will need to add some wool skirts as well. I do have a holiday to Thailand coming up in November and I am really tempted to sew for that instead! I live in the north east of England, which has a strong sea breeze even on the hottest day and that mixes with damp in the autumn and winter! Being fairly new to dressmaking I have lots of pretty cotton summer dresses but struggled to find vintage/repro dresses with sleeves (I feel the cold!) I have a couple of patterns with variations and I’m hoping that I can add to my meagre winter wardrobe with these and some needlecord and wool skirts. I live in the Northeast so I feel your pain. I have oodles of cute summer clothes, but winter tends to be thermals, jeans and flannel shirts. I made a decision three years ago to never purchase another piece of clothing from a retail store and I have never looked back. But it did force me to learn to make bras, underwear, socks, etc. Good goal on your part, and my winter wardrobe could use some revamping, so I’m in on the challenge. One cold-weather base I can never seem to find is a silk slip. I generally prefer slips over lined garments (or sometimes both! ), but I can only ever seem to find nylon ones. I always feel like making a slip would be a big yawn, but I may have to do that sometime in the next year of this project! Ooh, that’s tough if you’re allergic to wool! What about silk long underwear, or one of man made materials? I find those are always warmer than cotton thermal to go under things, and thinner so much less noticeable! I’m pretty much wearing long underwear from November to March! I’m really looking forward to see how you’ll build your new winter wardrobe, Tasha! Living in Norway I can really relate to wanting more woolen skirts and dresses (absolutely necessary during snow storms). Although I love my vintage summer dresses I always look forward to unpacking my winter wardrobe and planning my new knitting projects for fall and winter. 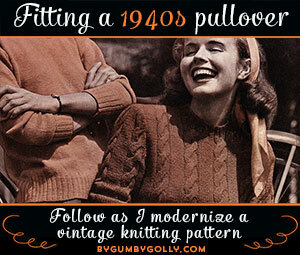 I’m sure I’ll pick up several tips from you, you have such a wonderful way of combining vintage and knitting! Thanks, Juanita! I definitely also need to do a bit of closet rotating and see where I’m at! The one wonderful thing I discovered is I apparently didn’t get rid of any of the wool skirts *I liked still* but didn’t fit (not a huge amount but a good few basics), so I can get them altered in time, and add to that. I just picked up some adorable flannels and was thinking of using them to line another piece. I really kinda want to make a Hollyburn in corderoy, but I’m not sure if it looks good on me. I was wasting time on ebay and saw this that I thought you might like: http://www.ebay.com/itm/2-1-2-yds-VINTAGE-YARN-DYED-PLAID-WOOL-COTTON-SUITING-FABRIC-58-2-X-5-CORNER-/381418112279?hash=item58ce4a8517. Oh, haha, and there are lots more… http://www.ebay.com/itm/Wool-blend-plaid-fabric-pink-purple-slight-green-4-yrds-58w-/181882935637?hash=item2a59115955. Thanks for those! 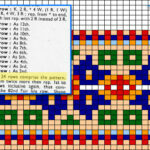 I definitely need to be looking at vintage yardage. It seems to be pretty much impossible to find wool plaids that aren’t boring suiting colors. This has always been a conundrum for me! In the 80’s. I made a shirt dress out of navy blue featherweight corduroy. It was a winter dress. 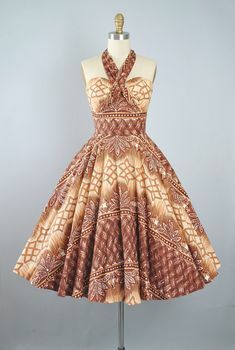 I’ve been wondering when I quit making making “winter” dresses. I am considering making another corduroy shirt dress. Sounds like a lovely and warm idea! 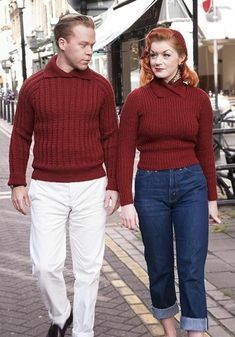 I have some cotton velveteen which is basically just corduroy with no wales, and I’m going to make a pencil skirt! What a great idea. I can’t wait to see what you make! I am a beginner and am just getting to the place where I can actually plan to sew things I really want. I also live in Oakland, Ca, where it is 63 degrees most of the time. I have a capsul wardrobe plan full of long sleeve fitted tees, maxi skirts, knit mod dresses and tunics for layering. Yayy! Sew fall and winter. Thanks! And those all sound like good items for your climate! This is a great plan! I always get stuck in a jeans and hoodie rut in the fall/winter/cooler months and would love some inspiration! I easily get stuck in jeans or the same couple of sweaters or outfits all winter. Hoping to change that over time! I think summer is so fun because color! And skirts with movement! And no sleeves! Weeeee!!!!!!! But winter tends to be more tailored and the clothes need those little finishing touches that take more time and more thought. They are less about instant gratification. 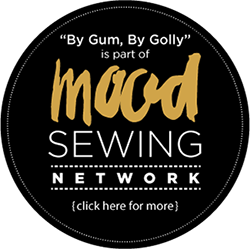 Love your idea of slowing down and putting more purpose behind your sewing! Yes those are very real contrasts in terms of winter and summer sewing. I’ll probably have a mad dash to sew a few things this fall so I have at least a few good options this winter, but then I’ll be able to really think through and take my time with everything else the rest of the next year! I totally understand your problem! Personally, I’m lucky I’m such a huge fan of winter and wool, as I live in northern Scandinavia 🙂 I’ve found winter to be easy to sew for! A couple of Wool skirts and you’re good to go. Cardigans you have, jersey tops can be made for year-around wear, and then just add cotton tights. For outerwear, a good coat and some crazy warm legwarmers and that’s it! I’m sure you’ll have a great winter wardrobe this time next year! I know, I feel the same way about winter and wool (well, sometimes not so much about winter as we’ve had some ridiculous cold snaps in the past few years that are beyond brutal, lol). I’m definitely considering some more long-sleeved jersey tops to wear under cardigans and pullovers. Coats I have really NO business buying or making since I LOVE coats and have far too many… although I have at least 2 coat projects on my list anyway. 😉 But I would definitely like to knit some legwarmers! I false started on a pair a couple of years ago, so it’s still on my list. I love this idea and am looking forward to reading more about your plans and seeing what you make. For the first time ever I am trying to plan my autumn/winter wardrobe so this will help me too. 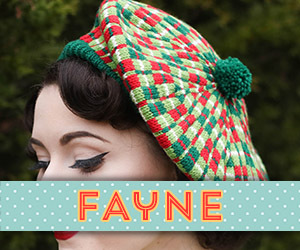 I just bought the yarn for two knitting projects and am deciding on fabric and patterns for a wool skirt or two. What a wonderfully ironic post for me! I’ve the same temperament as you – a list maker who never gets through the list – and have the same but opposite problem; I live in Houston and adore sewing winter clothing. Three slacks patterns in the works to make up in wools, not to mention two skirts in sueded silk and cashmere; and what’s in my stash? Cashmere, wool and silk jerseys and sweater knits; cashmere blend tartans for skirts, and nice wool / silk blends… but I have a 3 season summer to live in. Maybe because we don’t really have a winter in our area? But winter is my favorite season. I’m glad you wrote this so I can confront my own situation, and maybe I’ll come to accept that I need more summer dresses and fewer wool skirts… or maybe you and I should trade measurements and sew for each other, so we can sew what we enjoy instead! I enjoy your posts and look forward to your progress! 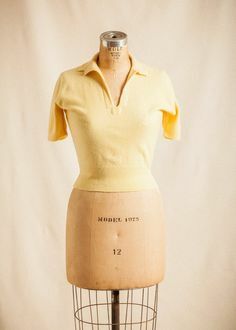 It is funny that you say you find more vintage summer stuff than winter – I find that there are way more quality wool items in the thrift and vintage shops here in Montreal than cotton. I always figured it was because cotton wears out while wool has staying power! For that reason, I almost never sew winter skirts and dresses, other than to repair or line items I have bought secondhand, and I even have a backlog of stuff that I have purchased that would leave me with an overstuffed winter wardrobe if it were to be all pulled out at once. Then again, I have embraced 1980s and 1990s vintage that has a well-made 60s or 70s vibe, so maybe that leaves me with more options. I do a lot of shopping online these days as I have less time to thrift but I agree, there were a couple of years where I could just seem to find good wool skirt after good wool skirt. The main issue I remember finding with sewing for winter is the past is the fabric– I just can hardly find fabrics that I deem nearly as pretty as the ones in my vintage woolen items. I pulled the skirts out that I thankfully didn’t get rid of but need to have altered, and the fabrics are so pretty! Even the newer ones like you said, probably from the 90s but classic in style (I mean does it really matter when a pencil skirt is from? slight changes aside they’re timeless). So I get frustrated that I can’t find similar fabrics, or beautiful plaids like in my 49er style jackets, etc. I suspect I may still end up doing more picking up secondhand of skirts, and sewing more tops to match and cigarette pants. Don’t laugh, but I never even thought about “winter” sewing! You’re right, I also tend to sew things in light cottons and short sleeves. But I live in Oregon near the Columbia Gorge, and in the winter we get an East wind that makes you want to stab knives in your face (because it would hurt less). It’s also hard playing the layering game, because I’m a school sub, and I’m never sure what to expect from building to building. But it wouldn’t hurt to be prepared with some warmer items! Nothing to laugh at– summer is much more enticing in many ways! Layering is a great idea. Since you don’t need super heavy items where you live, I bet some corduroy or wool skirts and layering tees and lightweight cardigans and such would work nicely for you! Easy to add on or shed a layer if you need to at work or before/after. I read this last night on my phone (too teeny tiny to attempt to comment) and was so inspired that I made a \Pinterest board right away and started pinning! I’m in Southern Ontario which has weather quite similar to Chicago. 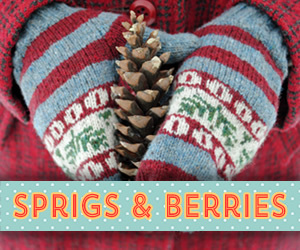 It makes sense to spend the bulk of my time planning fall/winter/spring items than summer! I’m in!! But this year I already made a winterdress, black wool and cotton blend. I love this! I mostly sew for warmer weather, too, which is a necessity in KY where despite not having excessively long summers they are SWELTERING. The last couple of years I’ve really been trying to beef up my winter wardrobe as well. I’ve made a few wool pencil skirts, and I’ve got another cut out, plus making myself a mid-weight jacket, and I’ve got two major coat projects in the works as well. Those are going to take me some time to finish since sewing time is very scarce with two small boys to take care of. 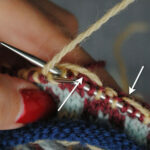 I’ve also been working hard on knitting some new warm sweaters and socks. I made myself a new cardigan this summer and am getting close to finished with a 1940s pullover that’ll be a great layer when it’s 15º again this winter. Looking forward to seeing what sorts of things you come up with this year! Your “hello, same pair of jeans every day all winter…” comment sounds very familiar! 😀 I agree about all the good wool plaids though, UGH! I don’t know if we’ll ever solve that one. I have far too many plaid vintage jackets and coats made with amazing wools, and I’ve seen nothing that could hold a candle to them in terms of modern fabric. :/ I’m still on the hunt but if I find anything I’ll certainly be blogging about it! Lots of piles then huh? 😉 But you’re off to a good start!! I have very little appropriate stash, so I pulled out the few things I have but haven’t married them to a project yet, although I suspect my fall sewing may be kind of like your uniform Archer and vintage skirt sewing– pencil skirts ad nauseum (just did a good muslin for the Sew Over It Ultimate Pencil Skirt, woo! 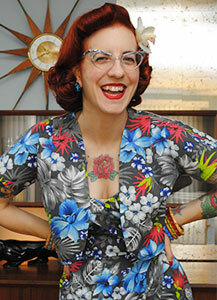 ), and if I can nail down a blouse or two that I love to make and wear under cardigans, that too! This is genius! I just konmari’d my closet, and have two pairs of pants that are not jeans and 1 flannel skirt. What am I doing here?! How did I survive the polar vortex at all?! The mind reels. I’m definitely gearing up to sew for Fall, and the pressure was mounting. Stretching those projects through the next year means I might actually get all of them done 🙂 I can’t wait to see what you make!! What a seriously cool – winter pun not really intended – idea. As a Canadian for whom winter is rarely shorter than six solid months long, I can get behind this plan 100% and can super jazzed to see more of what you’ll be creating and acquiring to grow you own cold weather wardrobe. Thanks, Jessica! Even when I had lots of cold weather clothes I never felt I had a cold weather cohesive wardrobe as my style was shifting during those years, so I’m actually quite excited as the prospect of slowly rebuilding this– with a few keys I’ve always liked, but also new ideas and silhouettes, too. Going from California to Bavaria Germany I learned winter real quick! I too am allergic to wool so I suggest silk/silk blends for undergarments and linings. For skirts try quilting (per Gertie) or felted wool. Also wool crepe, gaberdine are yummy. I have a rtw felted wool coat that has variations of blue plaid that wears really well with most pieces. Black wool felt “jeans” i wear with silk long underwear all the time lol. Denim will not keep you warm because cotton by it’s very nature is meant to breathe so I layer or wear silk long johns underneath. I have rtw wool melton I like but have never sewn with it. As for online suppliers I consider bblackandsons.com to be the best also, Mood & Gorgeous Fabrics. Hope this helps, can’t wait to see what you make! I have to ask: Where did you get those spectacular black boots you’re wearing in the picture at the top? I love them, exactly what I’m looking for.